Just like your home, over the course of a year, your business’ website can start to get cluttered. Now that springtime has arrived, we are calling for a thorough spring cleaning! 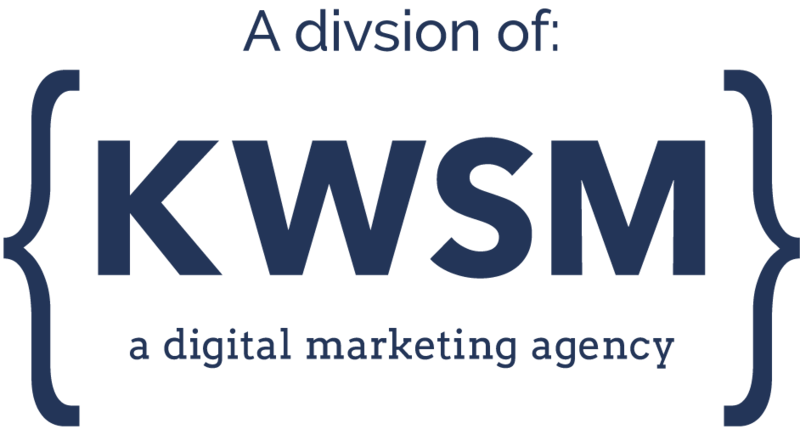 At KWSM: a web marketing agency, we go through a website refresher every month. But as a business owner, it’s likely that you don’t have time to be worried about your website every month. We’d like to share our Website Spring Cleaning Checklist with you, so you can start to improve the overall efficiency and performance of your website. Trust us, if you make time to execute this checklist monthly, you will see your most important metrics on Google Analytics start to improve. While best practice is to back up your website on a monthly basis, we recommend doing it right now! This way before you start updating the website with the list below, you will have your current website stored. That way it’s easy to fix it if something goes wrong. If you don’t know how to find your broken links, we suggest plugging your website into Lighthouse. This free website scanner analyzes your entire website and will give you a list of all the issues, including the broken links. While broken links are fairly common, these links can significantly hurt your website’s rank in search results. It’s a quick fix that can make a world of a difference. Your website is the main hub for all your marketing initiatives. But when campaigns end or your event is over, you no longer have a need for those pages. Most business owners think that hiding a page from the Menu Navigation is enough, but that is not entirely true. The web page can still be found in search results. If you do not either delete the page, make it a draft page or “no index” it, you will run the risk of having people contact you for your winter promotion well into spring. Go to Settings -> Reading in your WordPress Dashboard. Mark the “Search Engine Visibility” option to disable search engine indexing. Click the blue “Save Changes” button to save your changes. WordPress websites usually have numerous plug-ins to build out elements on the website and make it operate more efficiently (ex. contact forms, SEO tools, security tools, image caching are commonly used as plug-ins). The developers who made these plugins are continuously improving upon the quality of their tools and will send out frequent updates. Similar to updating your iPhone, your website needs your go-ahead to update your plug-ins. If you don’t update it, you may be missing new features and putting your website at risk of getting hacked. When you update your web pages, you are basically telling Google that a page is being improved upon. Even if all you do is swap out a more current photo of the team, this change will get Google to crawl your website and re-index it. One thing we highly recommend is refreshing the copy on your pages to include your industry’s popular keywords. This way, when someone types those keywords into the search bar, your website has a better chance of showing up in the top results. Similar to step 3, while there are pages you should delete, there are also pages you should add. For example, maybe you decided to add a new service offering. If you already have dedicated services page, you could make this step much easier by duplicating one of the existing pages. This will allow you to follow the same format of your old page, and all you need to do is re-write the copy to reflect the new service. Keep in mind that if you are going to duplicate content you will want to follow our 3 rules to duplicate content. Related Article: Does Duplicate Content Affect My Website SEO? If your website has a blog, we have one bonus tip for you to get your website to rank higher in search results. Adding hyperlinks is an incredibly powerful way to start ranking your blogs higher. It is one of the five things you must do when posting a blog, but people often forget to go back in and add hyperlinks when new blogs get written. There is immense value in hyperlinking because it keeps your readers on your website longer and helps Google understand which of your blog posts is most important to you. If you have any questions or need help getting through our website spring cleaning checklist, please contact us. Does your website have what it takes to stand out from the competition? Our team is currently offering a free website audit in which we will review your entire site and let you know how you can refresh it to help reach your business goals.